Whether you’re planning to buy a new wardrobe or you just want to renovate the current one, there are few things to consider when selecting a wardrobe such as the material, colour, mechanism and also the style of doors that you choose. That’s why the decision should be taken very seriously because it’s important to get the right one when you make the purchase. It can be tough to pick between sliding or hinged wardrobe doors. But you don’t have to worry, this article will help to make the decision making a little easier. InstallationSliding wardrobe doors are easier to install because it only needs a top and bottom track and the wheels to be taken care of. Precision is very important, providing the wardrobes with the perfect contemporary feel. While the hinged doors need a hardware fitting, frame, and a lot of precision on the carpenter’s end. Why is it tough to install? Because this kind of door is the traditional way of making them and is quite labour intensive. Mirrored and glass doorsSliding wardrobes door are a better match for mirrored and glass doors. The available design customisation is limitless because of the wide range of colour choices, textures and finishes. You can choose from a frosted or lacquered glass of mirrored finishes or try to combine them with different colour finishes and wood grain. The hinged wardrobe doors need a very well built frame. Because the door of it is constructed of a variety of materials and since all the weight is concentrated on the hinges itself if you add more weight like mirrored and glass doors it may cause problems. Upkeep and repairsJamming is the major issue that is faced by the sliding doors. It can occur due to the dirt and dust that gather over the track. That’s why it is important to follow a cleaning routine regularly to avoid jamming. However, if the doors don’t run smoothly after cleaning the track, then the wheels need to be changed to restore the smooth run. The sliding door’s jamming can be quite troublesome. With the hinged doors, it is easy to maintain and clean. And when it comes to damage repair, these are also easy to repair and light on the pocket too, because in most cases there is just the hinge that needs to be replaced. 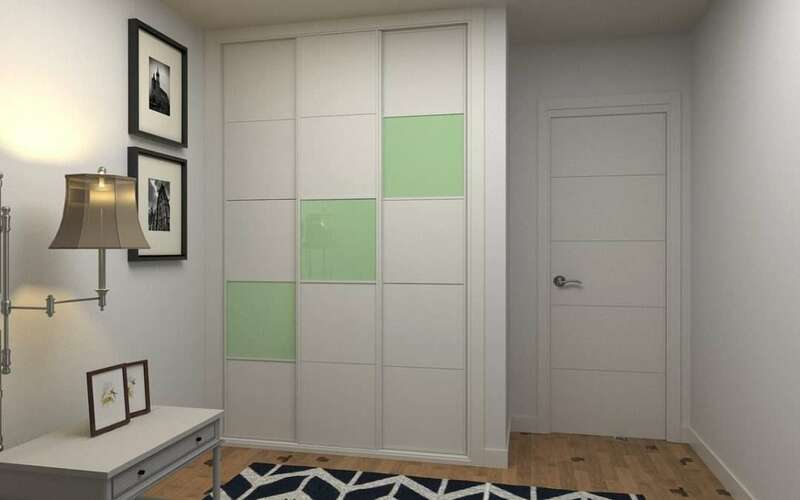 At Superglide Wardrobes, we offer a wide selection of glass and finishing materials to made the perfect wardrobe that will maximise your space. We make sure that the final product won’t only look good, but also be functional and that you’ll be happy with it for many years. For further information, call us on 01793 861584 or email us atsales@superglidewardrobes.co.uk we are always happy to have a chat, so don’t hesitate to call us anytime.